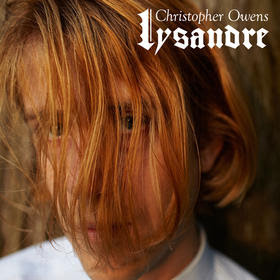 Written during a tour after the release of his former band Girls' debut album, Christopher Owens’s 'Lysandre' is the typical tale of boy meets girl, boy falls in love with girl, boy loses girl. Given the well-trodden nature of the album’s narrative, I was hoping for Owens to put a new spin on it and demonstrate the purpose displayed on Girls’ last record. His dissolution of Girls was a shock to many, including myself, especially as the band seemed at the peak of their powers following the release of 'Father, Son, Holy Ghost'. Owens has subsequently explained why he broke up the band - the result of frustration with its ever-changing personnel. Given Owens’ backstory, you can fully understand his decision and going solo has allowed him to reinvent himself a singer-songwriter. I first heard the album during the preview tour Owens did at the end of 2012, which showcased the musical motif that repeats in every song. I wasn’t quite sure what to make of it – while it is catchy and underscores this is a continuous, song cycle, it also became a little tiresome. When I listened to the recording itself, 'Lysandre' became frustrating for other reasons. While on his last record, the likes of 'Here We Go Again' would have soared dramatically into new sections, the songs end abruptly just as they are gaining momentum to make way for the aforementioned motif. The result is that the record feels a little slight, perhaps explaining the inclusion the additional stylistic touches such as the saxophone in 'New York City' or flute in 'Here We Go'. However, he deserves credit for sticking to a concept throughout and demonstrates a vulnerability which can’t help but make you route for him, opening the album with the lyrics “If your heart is broken/ You will find fellowship with me". There are hooks aplenty throughout the record and the melodies are instantly familiar, the hallmarks of his songwriting to date. The only song which falls flat is 'Riveira Rock' which is a strange, jazz-lite interlude that comes across as excessive. Each song is like an individual postcard, each giving us a little snippet into what Owens was feeling at that particular point in time. Perhaps 'Lysandre' is an album he needed to get out of his system, providing closure to a particular era in his life. There’s no shaking the feeling that the album is an amuse-bouche, quickly recorded as a stop-gap to remind people that he remains an artist to be reckoned following the break-up of Girls, before he hopefully writes a more fully-formed record. 'Lysandre' is out now and available to purchase from amazon.co.uk. Find more info at christopherowensonline.com.